BCECE 2019: Bihar Combined Entrance Competitive Examination (BCECE) is a state entrance exam held for candidates who want to pursue their career in the field of engineering, pharmacy & agriculture. This exam is organized by the Bihar Combined Entrance Competitive Examination Board (BCECEB). BCECEB invites the application form in the month of March. Form will be available online. Candidates can Apply BCECE Online Form and submit it on or before the last date. 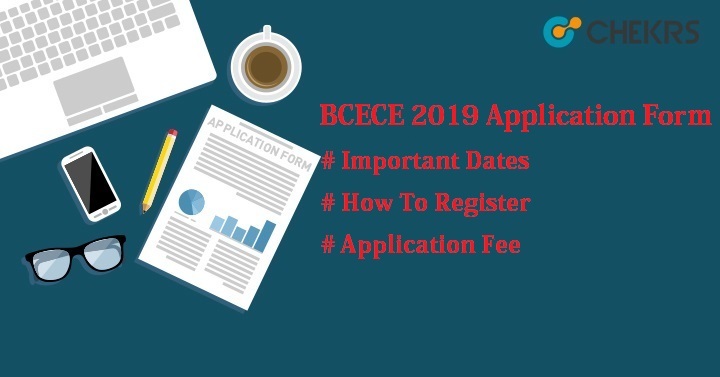 Check here all the details related to BCECE 2019 Examination like important dates, application fee, etc. Candidates who want to get admission into government & private colleges of Bihar state for courses like engineering, pharmacy & agriculture can apply for the BCECE 2019 Application Form. BCECEB will release the application form on the official site i.e., www.bceceboard.gov.in . Form must be submitted on or before the last date of submission. The authority will also provide the correction facility. Candidates will be able to correct their mistakes while filling the application form. Here we are providing the tentative schedules related to BCECE 2019.Candidates can check the BCECE Important Dates given below. Application form must be filled into 2 parts, Part A & Part B.
Click on the Link “Apply for BCECE 2019”.Read all the instructions carefully and then click on the New Registration. Fill the details carefully like name, father’s name, mail id, mobile no etc. and then submit the registration form. Candidates will get username/registration no. & password through SMS or mail. Login into the account with generated username & password. After login, fill all the mandatory details like Personal details, address etc. Upload the scanned color/ black & white photograph of size 3.5 x 4.5 cm & signature. Photo must be clicked with name & date after January 2019. Size of photo & signature must less than 100 Kb and in .jpeg format. Click on Save & Continue. Fill the educational/academic details like 10th, 12th marks or percentage etc. Click on the Save button then click on proceed to payment. Candidates can pay the application fee through online or offline both methods. After payment process, Candidates have to download both Part A & Part B. Paste the same photo on Part B form, uploaded at the time of application form filling. Keep the both form for future references and must take at the time of BCECE 2019 Counselling. Candidates can pay the BCECE Application Fee through offline & online both mode. For Offline mode, candidates have to download the NEFT challan from the official site and submit the challan with application fee in any bank. Applicants also submit the fee through online payment gateway like Credit card/ Debit card/ Net Banking. Fee will vary according to the category.